Publisher : New York: G. Schirmer, n.d. [? I love this song so much. I am 14 and I learned to play this and it has been one of my very favorite songs to play! Tom&Jerry comes to my mind. I love this. WONDERFUL!! Marc-Andre Hamelin's video is awful, but Lang Lang went to town with this piece! Absolutely awesome! 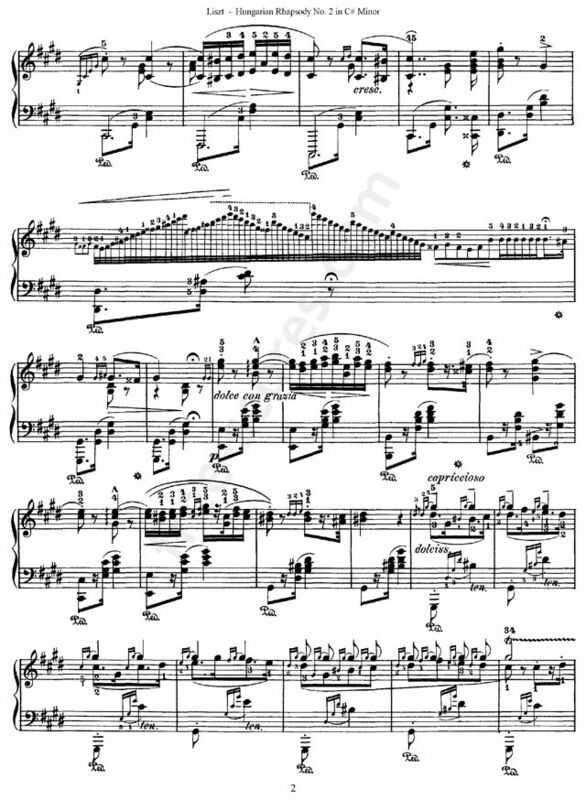 In answer to Ana Solveyne: It may be the "Cadenza ad lib" part, the last bar of page 17. 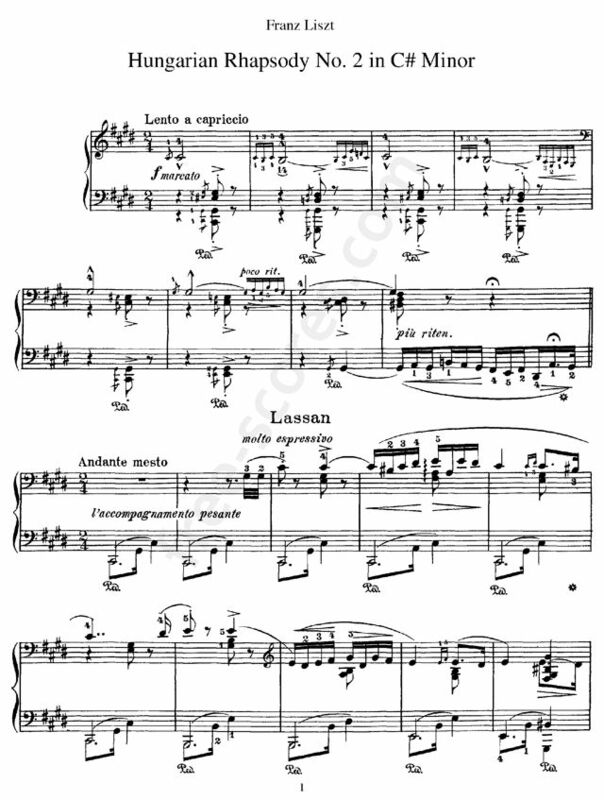 Here the performer can decide on the cadenza to transition to the next theme. 9 scores found for "Hungarian Rhapsody No. 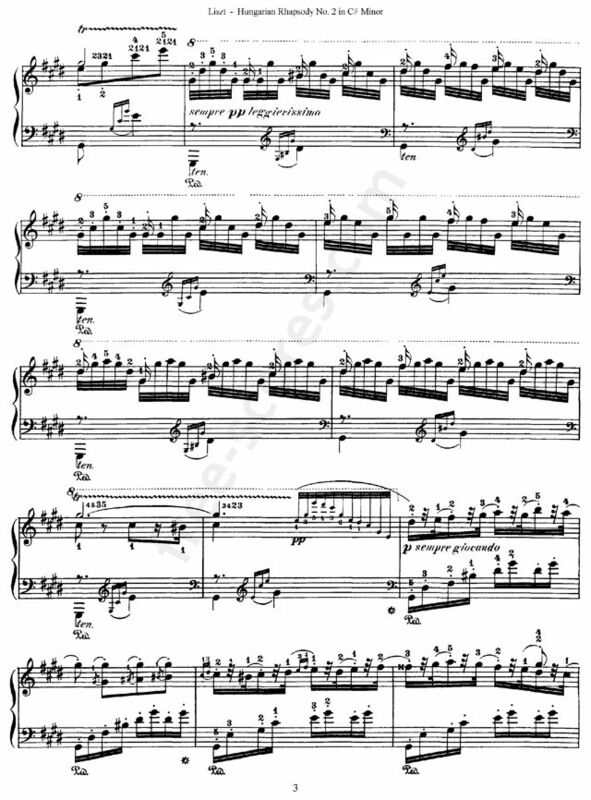 2 in C-sharp minor"
1 scores found for "Hungarian Rhapsody No. 2 in C-sharp minor"